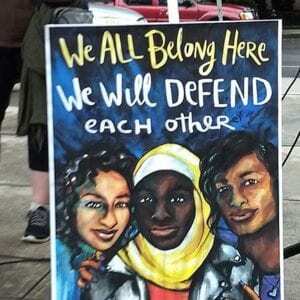 Hundreds attended rally in support of humankind. 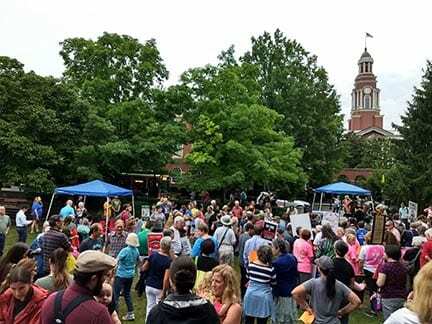 KNOXVILLE, TN — Hundreds of concerned citizens gathered on the lawn of the City County building to show solidarity and oppose the separation of children from their parents at the borders of the United States. 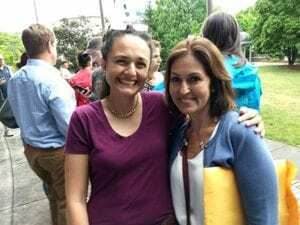 The Families Belong Together rally was sponsored by Allies of Knox Immigrant Neighbors (AKIN), Centro Hispano, Women’s March Coalition, and Tennessee Immigrant and Refugee Rights Coalition. Neo Nazi white supremacists attempts to disrupt the meeting were met by a human shield of rally attendees and posters held up to block their attempts to wave hate signs. Attendees ranged from babies in strollers to elderly and disabled. The rally ended with the crowd singing This Land is Your Land.